This Inspired Arrangement Is From The Heart. Our Master Designer, Juan, Created This Out Of Love For All To Enjoy. 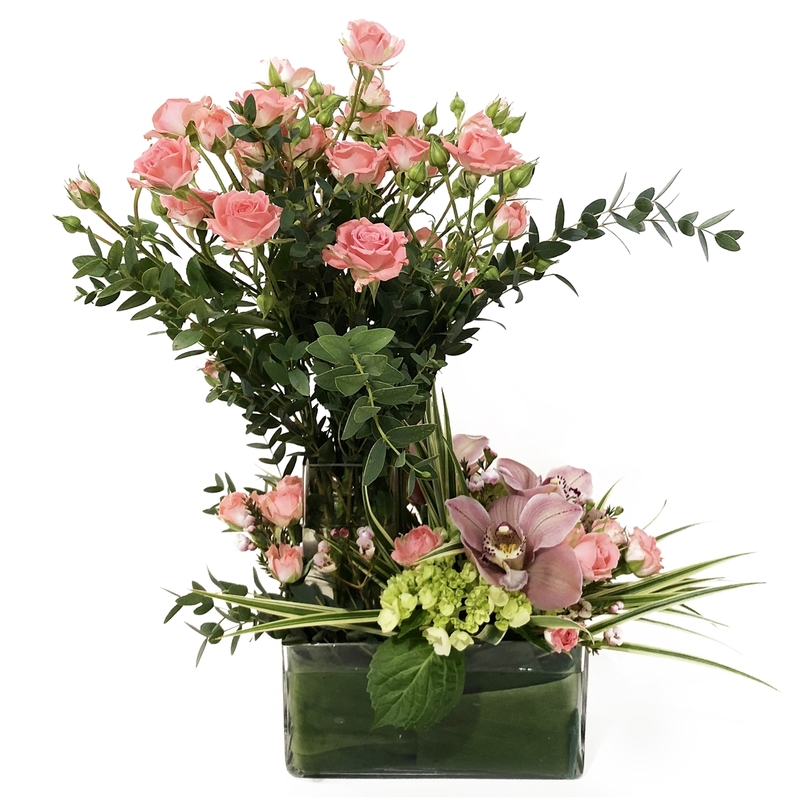 These Wonderful Spray Roses Accented With Orchids In A Double Vessel Is a True Gem.